Holdsworth House is one of the best, award-winning wedding venues in West Yorkshire and can host large weddings up to 120 guests in the day and 150 in the evening. Our most popular wedding package for big weddings includes all the essential elements for a very special day from £5,200 for 60 day and 80 evening guests. Having won many wedding awards, the TripAdvisor Certificate of Excellence (annually) and consistently acheived two AA red rosettes for its food (for over 18 consectuive years), there’s no finer wedding venue to trust with your special day. Call the wedding team direct on 01422 232359 Standard wedding terms and conditions apply. *You can add more guests for an additional fee – up to 120 day and 150 evening altogether. 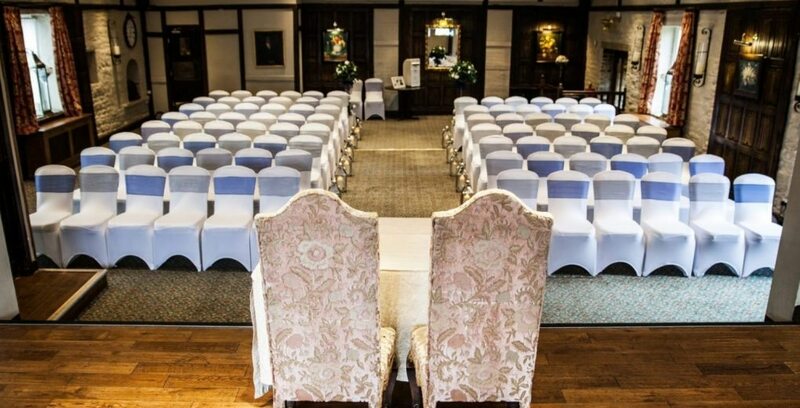 To be married at Holdsworth House you need to book the Calderdale Registrar direct on 01422 288080; they perform your legal marriage service at the hotel, for which there is a fee payable direct to them.